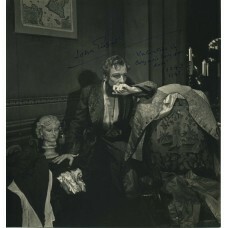 Beaton , Cecil. 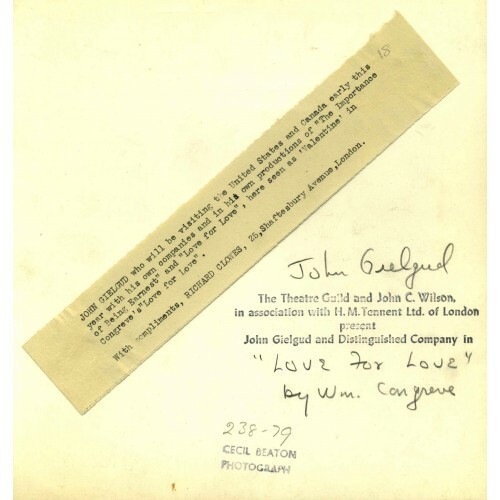 John Gielgud In Congreve's Love For Love Silver Print 8 x 8 inches . With a couple of surface marks. 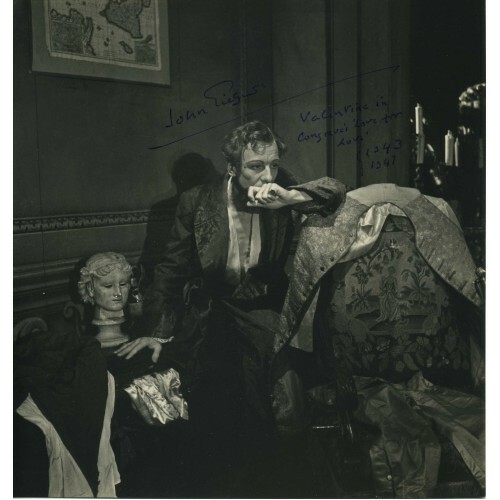 Autographed on the front by Gielgud. The image is identified on the back. There is also an attached slug and a Beaton stamp. Circa 1947.